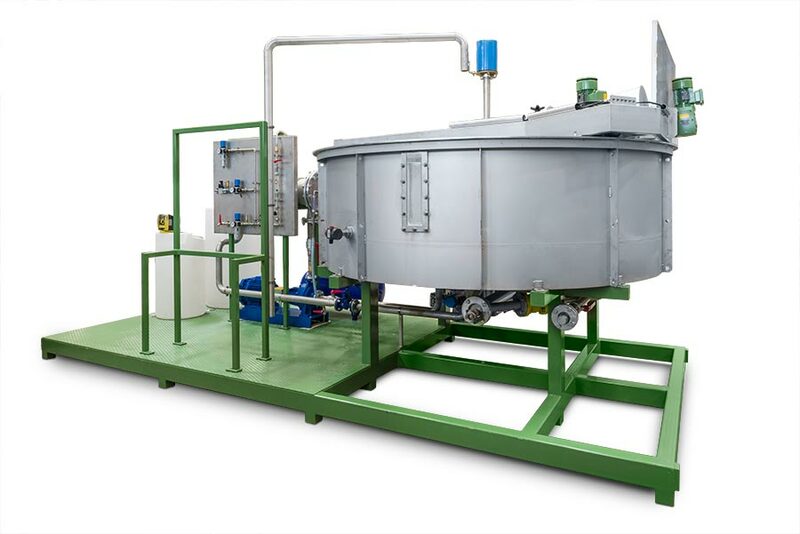 The Superflot is an equipment that, by using the dissolved air flotation technology, is providing the solid – liquid separation. 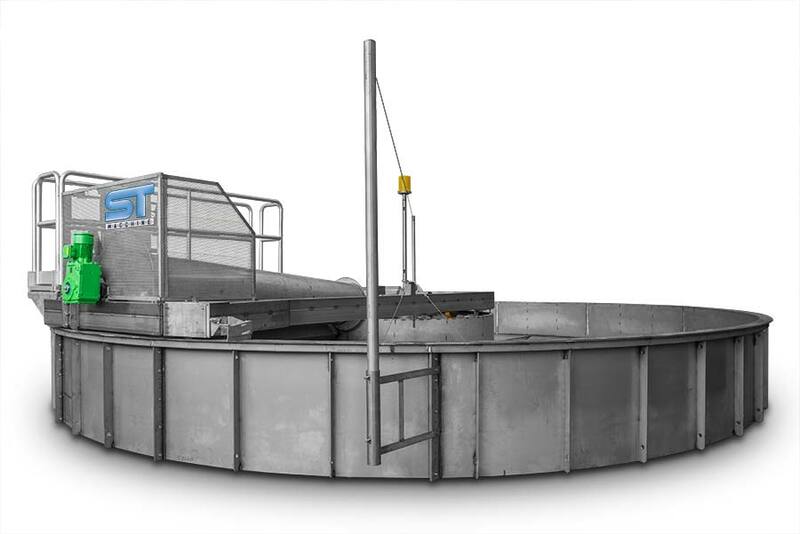 The floatation tank is circular shaped and features of a low water profile. It results in limited installation space and reduced weight. The flotation process mode may be on partial or full flow of the raw water or recycling flow pressurisation of the clarified water. 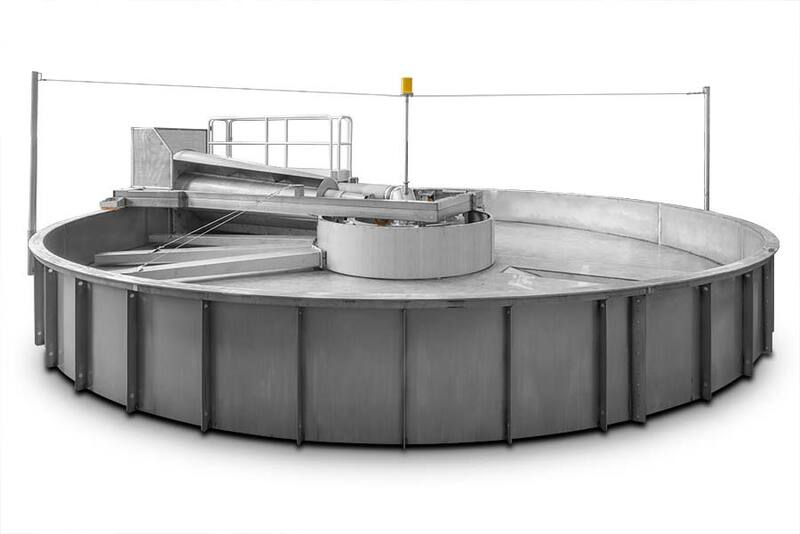 The flotator is fed from the centre of the tank through a system that is distributing the water in the flotation chamber in a uniform and quit mode. Before entering the flotation tank, the pressurised water is passing through a suitable valve to reduce the pressure at atmospheric value. In this phase a huge amount of microbubbles get free from the water and once inside the tank they are lifting up the suspended solids to the surface. The air is representing a process accelerator and its efficiency is higher if it can operate in a quiet fluid. A rotating skimmer installed on a movable bridge is removing the floated sludge from the surface, pouring it into a central tank from where the sludge is discharged by gravity. 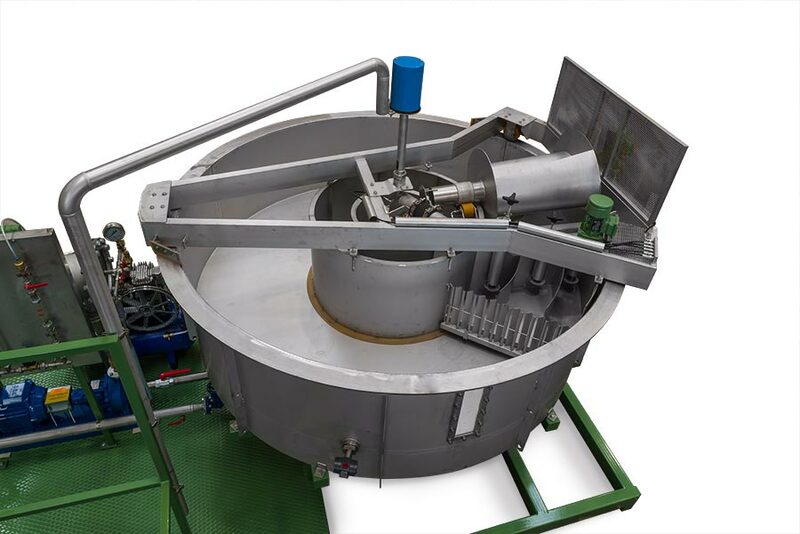 The optimal consistency of the sludge is obtained adjusting the tank automatic water level. The clarified water is removed by extracting pipes, which are attached to the moving centre section, that are conveying the water out through the modulant valve. The bottom and side scraper help to keep clean the surfaces thus reducing the need to stop the machine operation for cleaning reasons.